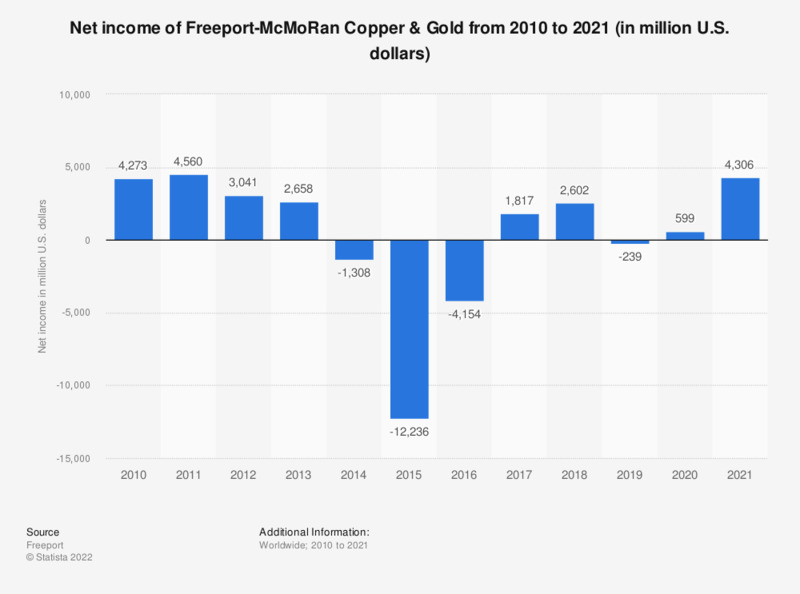 This statistic depicts Freeport-McMoRan's net income from 2005 to 2018. Freeport-McMoRan Copper & Gold is one of the world's leading producers of gold and copper. Freeport-McMoRan is based in Phoenix, Arizona. In 2018, the company's net income came to approximately 2.6 billion U.S. dollars. * Net income (loss) attributable to FCX common stockholders. Figures for 2005-2014 were taken from previous annual reports.